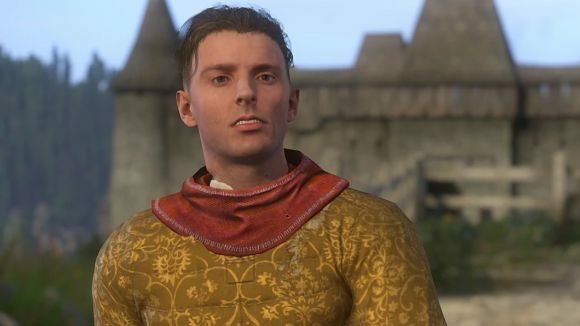 The latest expansion for medieval adventure Kingdom Come Deliverance will be arriving on October 16. offering players a hopefully more light-hearted adventure this time and starring the ever-lovesick Hans Capon in The Amorous Adventures of Bold Sir Hans Capon, as he looks to win the heart of a butcher’s daughter – we’ve all been there, right? But Hans’ journey won’t be a straightforward one. Being Kingdom Come, you can be sure that there’ll be more than one way to help Hans look to woo Karolina. And there’ll presumably more than one way to deal with her father – the aforementioned butcher – who’s not too keen on Hans seducing his daughter if his threats in the trailer are anything to go by. Luckily, Warhorse isn’t just catering to those of you with money to burn or season passes, because the new Free-For-All tournament mode will be a free update for all players. Rather than being a simple brawling mode though, tournament mode will offer a handful of new quests centred around Henry figuring out what’s behind the success of the Black Knight. And if you want to see what Warhorse’s PR manager, Tobias Stoltz, told us about the new expansions back at Gamescom, you can have a read all about it here. Along with the new quests, the tournament will offer players a new way to make some quick cash and even snag a few extra prizes with armour and weapons up for grabs. Both the Amorous Adventures of Bold Sir Hans Capon and the new tournament mode should offer players a combined 20 hours of new gameplay, with Hans adventure offering between 10-15 hours and the tournament quests taking around five hours. There’s still no word on how much the expansion will cost to buy separately but both updates will be available on PC and consoles on October 16.